Shawn leads Learning Innovation in its mission to help Duke students learn more, and to enable more people to learn from Duke. Learning Innovation promotes innovation in teaching, manages the direction and strategy for Duke’s learning technologies, and leads Duke’s online initiatives and production (including Duke’s partnership with Coursera). 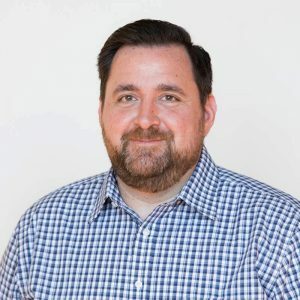 Shawn has over 20 years of experience assembling, leading, and managing a wide variety of teams involved in exploring and developing digital learning innovations. “Know Thy User: the Duke Libraries User Studies Initiative” with Yvonne Belanger and librarians Diane Harvey, Linda Daniel and Emily Daly at the UNC LAUN-CH conference entitled “Creating a User Centered Library” in Chapel Hill, NC on March 10, 2010. Presented at Duke University’s Information Science and Information Studies (ISIS) Tech and New Media Tuesday session April 21, 2009 with Trudi Abel at the John Hope Franklin Center in Durham, NC. “Less is more: M-learning with cell phones” with Lucy Haagen at the University of North Carolina’s Teaching with Technology Online (UNC-TLT 2009) conference on March 19, 2009. “Google Earth for Teaching and Learning.” 2008 UNC-TLT Conference. Raleigh, NC. March 2008. Co-presenter: Andrea Novicki. “Visualizing North Carolina in the Global Economy”. Co-presented with the team from Duke’s Center on Globalization, Governance and Competitiveness, Raleigh, NC, December 17, 2008. “Learning Engineering Teams: Capabilities and Process.” w/ Craig D. Roberts. In Chris Dede, John Richards, Bror Saxberg (Eds.) (2018). Learning Engineering for Online Education Theoretical Contexts and Design-Based Examples. Routledge. 2018 Students and Technology Research Study. Educause (Served as subject matter expert and consultant/contributor). Shawn was previously the Director for Duke’s Center for Instructional Technology (CIT) from 2013-2017. Before that, he was CIT’s Head of eLearning Tools and Strategy and led both Duke’s transition from Blackboard to Sakai (2011-2012) and Duke’s implementation of WordPress (2009-2011). Before coming to Duke, Shawn was Manager of Media Production for Instruction Support Services at the University of Texas at El Paso. Shawn holds an MA in Professional Writing and Rhetoric from the University of Texas. Shawn is also a Leading Change Institute (formerly Frye Leadership Institute) fellow and former chair of the Durham County Libraries Board of Trustees.